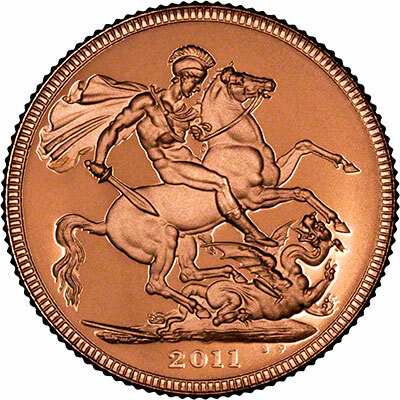 We received our first delivery of 2011 gold sovereigns on 16th November 2010. 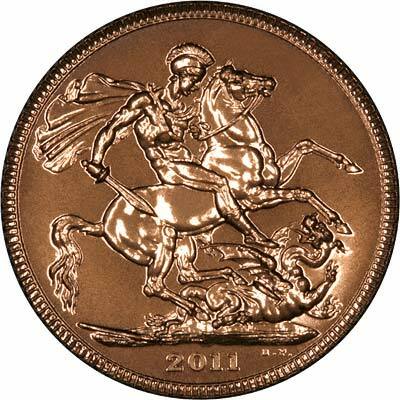 We can confidently predict a complete sell-out of the 2011 bullion sovereigns, although the Royal Mint's retail sales department "The Royal Mint Coin Club", will probably retain a quantity to support its direct sales operation. It is therefore quite likely that these will start to sell at an extra premium price. In 2009 after our initial 5,000 pieces, we placed a second 5,000 piece order, and also upped our provisional order to 1,000 pieces per week. This would have meant that we alone would have taken about 50,000 of the 75,000 maximum mintage for the year. As it now stands, we are extremely unlikely to receive more than about 25,000 pieces, unless any other distributor fails to take up their allocation. 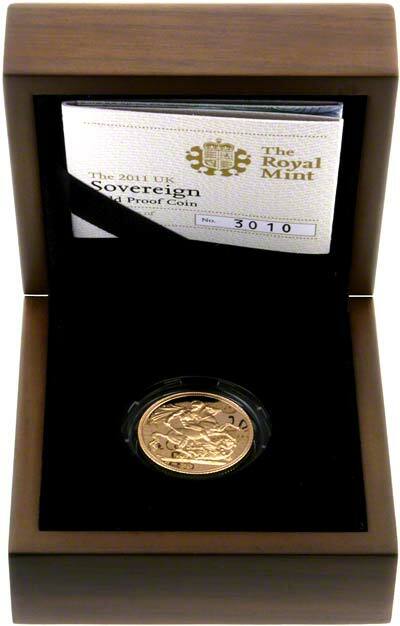 August 2011 - the Royal Mint have now reached the issue limit on the 2011 sovereigns. We ordered 1,000 coins and we have only been allocated 500, so we are now only taking orders for 10 coins or less. If you wish to order more than 10 please telephone us and we will try to accommodate you. For 2005, the issue limit was only 75,000, the lowest bullion sovereign mintage for over 120 years, this has been the same since then. We expect the issue limit for 2011 to be similar. 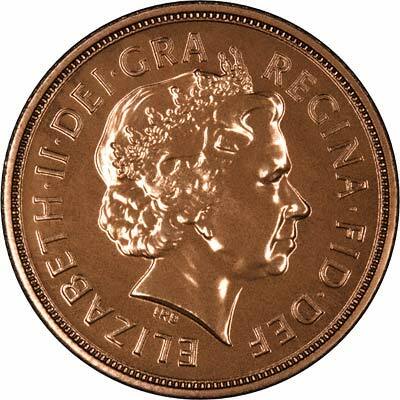 When compared to the Royal Mint price of £400.00 you will make a saving of £102.00 per item when ordering from us. We have recently bought a limited quantity of these coins and are able to offer them for just £1 extra. 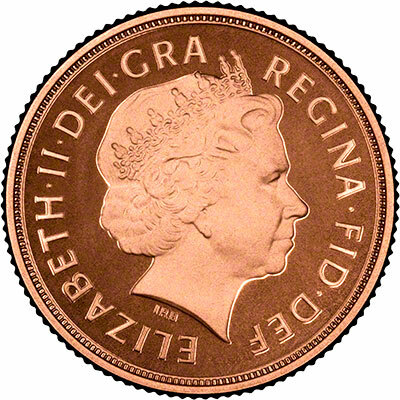 Royal Mint price correct as of 30th November 2011, however, they are sold out.